If you’re trying to kill time this afternoon, get ready to thank me. Via JT I learned today of Wordle, a program that generates a word tag from whatever text you paste. If you’re not familiar with word (or tag) clouds, they’re based on frequency, so the words are sized according to how often they’re used. 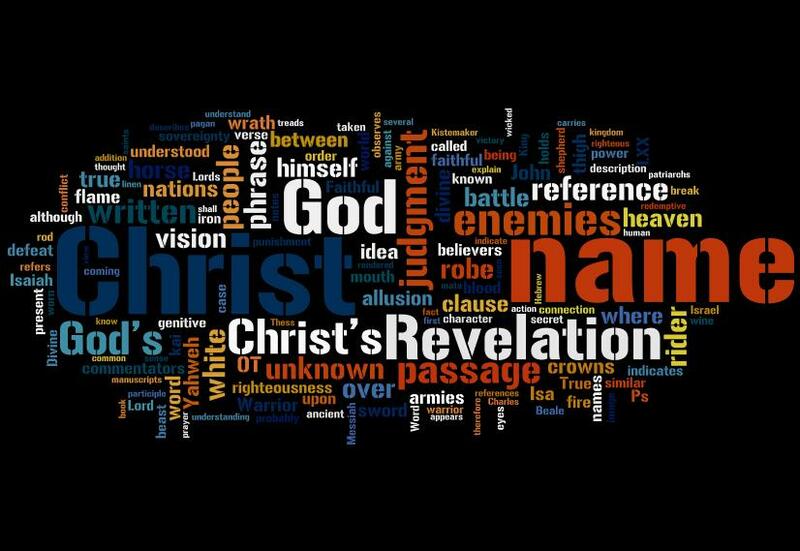 This is from a paper I wrote a couple of years ago on Revelation 19:11-16 (it was one of the longer texts I had). that is super neato. wow. kind of a good check to make sure you kept your eye on the ball in the paper too! I wanna do a wordle on Sam’s birthday book.